Here’s the perfect mindfulness activity for Thanksgiving or a rainy day. 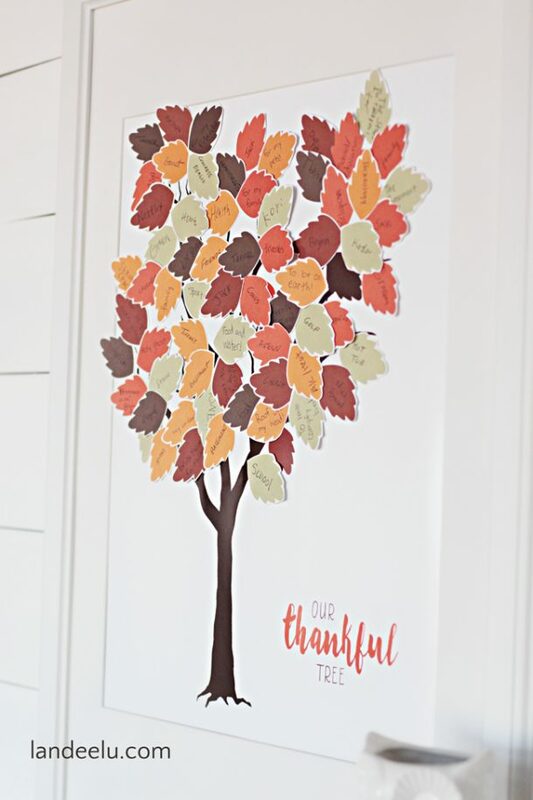 It’s called the gratitude tree, and we will definitely be doing one this year. I love the chance to count my blessings, and it’s a fun activity to do with your child. It even comes with science-backed benefits. According to research, gratitude practice decreases stress and negative thinking as it increases happiness and social intelligence. How about that? You can go from spending your day wallowing in negative thoughts to actually immersing yourself in life’s joys. This might all sound a little lofty, but it’s true. There is so much good in each day, but we are usually just too distracted to see it. 1. Make a leaf cutout (or a few for variety) to use as your template. Here’s a PDF template from Jennifer Cooper at Classic Play. Trace the rest of the leaves on a bigger sheet and cut them out. Gratitude can be about anything, really. The roof over your head, your child. Your senses. The beauty of an evening sky. The bird song you heard today. The scent of flowers. The warmth you feel inside your thick sweater, the sun on your face. 7. Rebekah @ SimplyRebekah.com raised the bar with a huge thankful tree. I’d love to do one just like it. Happy Thanksgiving. We all have so much to be thankful for.